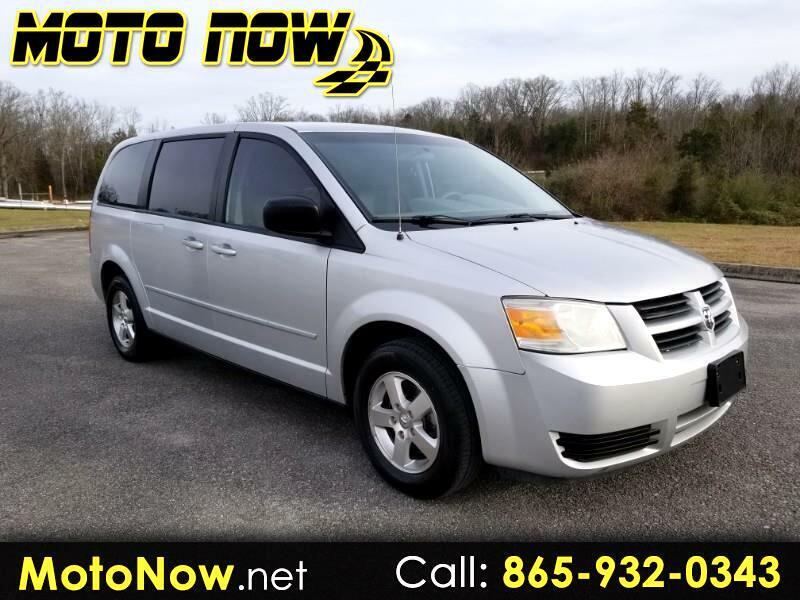 *** AT OUR SEVIERVILLE LOCATION *** The Dodge Grand Caravan is still fresh from a complete redesign for 2008, and for 2009 the Grand Caravan gets more safety features. The Grand Caravan is all about transporting people comfortably and safely, while keeping them entertained. Its designers focused on interior creature comforts, and they succeeded. As part of that focus, Dodge has made its Stow 'n Go seating standard. Stow 'n Go has bins behind the first row that can be used to fold the second-row seats into the floor. When the seats are up, the bins can accommodate toys, games and other cargo. You can get Swivel 'n Go seating with second-row chairs that swivel to the rear and a table that pops up between those buckets and the third-row bench. You can get a video system with one or two rear screens, wireless headphones, and remote control. You can plug in your laptop. You can press buttons on the ceiling and watch in awe, or amusement, as the side doors and liftgate flip open and closed. You can download you music to a hard-drive radio. Or you can fold down all the seats, and haul a stack of plywood or a load of hay. The Grand Caravan's suspension delivers a nice, smooth ride, though it can sometimes wallow. It's more about comfort and safety than carlike precision. Electronic stability control is standard, and the Grand Caravan has performed well in government crash tests. The handling is a bit cumbersome, not surprising given the Grand Caravan's size. It doesn't go around corners as well as the Honda Odyssey and Nissan Quest do. It leans in hard turns, so drivers will have to be careful not to upset whatever activities are going on in back. Three V6 engines are available, including a 4.0-liter 250-horsepower V6 added for 2008. We found the base 3.3-liter engine can struggle with freeway on-ramps. The 3.8-liter engine is acceptable, though we prefer the 4.0-liter V6 introduced for 2008. The top engines from Toyota, Nissan and Honda offer more power and response. But a minivan isn't about speed and handling. The Grand Caravan's unique cargo and entertainment features give it a competitive advantage in the minivan class. Families will like it, especially because those entertainment features will make for peaceful family trips. Message: Thought you might be interested in this 2009 Dodge Grand Caravan.